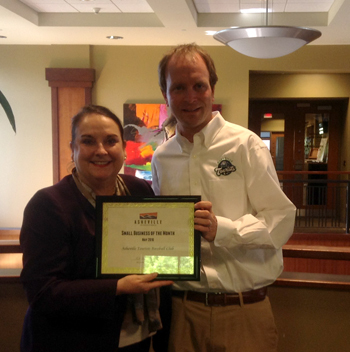 As summer ramps up, it is fitting for us to honor The Asheville Tourists as Small Business of the Month. 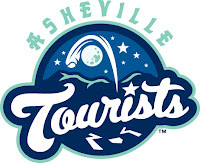 The Asheville Tourists began playing professional baseball in Asheville in 1915. "2015 was the largest attended season in the 100 plus history of the Tourists," said owner Brian DeWine. McCormick Field first opened in 1924, and the team continues to play at the historic venue today. The organization has seen over 500 former Tourists reach the Major Leagues including such stars as Willie Stargel, Dave Concepcion, and Eddie Murray. The team is currently the Single A Affiliate of the Colorado Rockies in the South Atlantic League. The 2014 and 2015 were record breaking years for the organization in terms of attendance and growth. The DeWine Family has owned them since 2010 and truly believe that baseball adds to the quality of life in a community. "We believe that it is our responsibility to have an impact on the community," DeWine said. "We want the ballpark to be a gathering point, where residents go when things are good and when things are bad. A Tourists game should be where families make memories, friends run into old friends, and where someone can go to escape a bad day. We feel the Tourists impact the community by adding to the quality of life." That sense of commitment to the community extends beyond the ballpark. Last year, the Tourists were responsible for giving back and helping raise almost $200,000 to local charities and organizations. And when asked for tips for other small businesses, DeWine said to remember to be part of the community. What's ahead? The Asheville Toursists look to continue to grow attendance at the ballpark and make the fan experience top notch.